Press releases and images are also available. 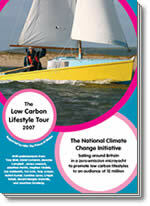 The Low Carbon Lifestyle Tour will send a powerful message about the need and opportunity to reduce emissions of the gases that are causing dangerous changes to the Earth's climate. Today we sit on the brink of potentially devastating ecological changes. We can still avoid the worst impacts of climatic shifts - but only if we act now. We have the technologies, we have the policies. What we lack is sufficient inspiration, vision and leadership. 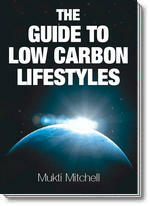 The Low Carbon Lifestyle Tour will help to fill this critical gap.